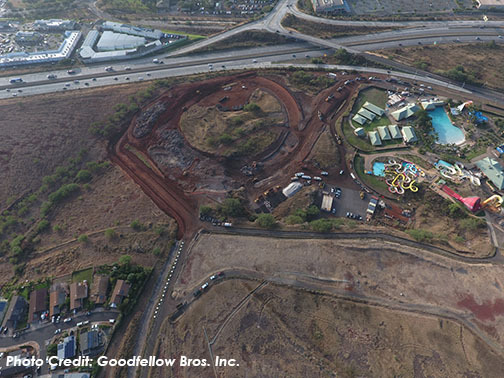 Kapolei Interchange Phase 2 involves the construction of new on and off ramps, roadway modifications, and elevated bridge/overpass, and connections to Farrington Highway. When completed, Phase 2 will help to relieve area congestion by providing additional ramps and a new overpass from the Waikea Street Extension to westbound lanes on H-1 Freeway. WOC’s scope of work included the preparation of plans specifications, and cost estimates for grading and drainage, roads, storm drains and construction details. WOC also prepared a Transportation Management Plan.